The original 8-eye Dr. Martens 1460 boot is synonymous with punk, ska and grunge music, but this one is for the lovers: a bright red heart pops against white wingtip styling. The result? It'll bring Valentine vibes to even the blackest of hearts. This classic features all the traditional Doc DNA, details including branded heel-loop, durable rubber soles and yellow stitching - but also serves up red lining and brogue detailing. Need some help finding the right size Docs? Use our size guide to help you find the best fit for your feet. Our iconic Original styles like the 1460 8-Eye boot tend to have a slightly wider fit so we recommend ordering a size down. Already own a pair of Docs? 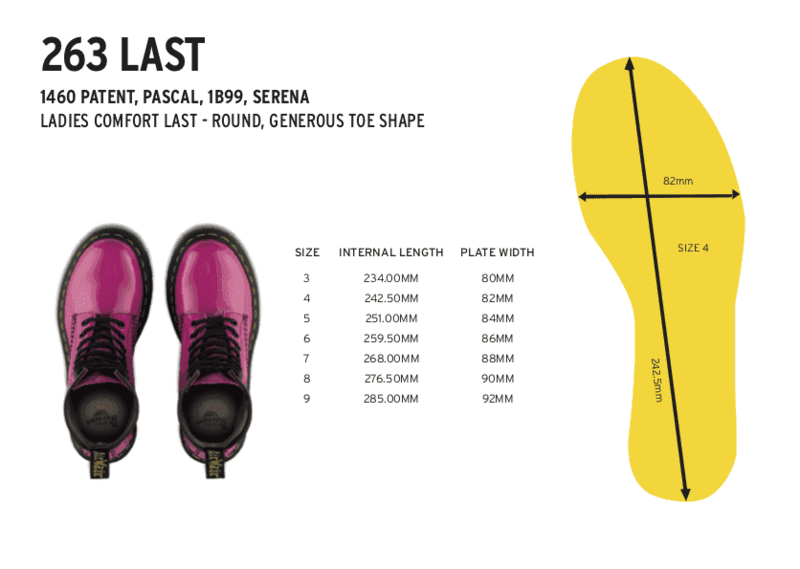 Generally sizing tends to be standard across all Docs, although sizes can vary slightly depending on the style, shape and material of the shoe. The size of the pair that you already own is a good guide! Certain styles can run a size larger or smaller. We’ll include this information on the product page when we have this information available, and often, fellow shoppers will leave reviews with size information that you can use. Buy this item and collect it from your nearest Dr. Martens store. Items are usually available within 3 hours of store trading hours - but please wait for email confirmation that your item is ready for collection. A straight up game changer, Afterpay gives you flexible payment options when you shop with Dr. Martens. Rather than having to fork out all the cash at once, when you purchase through Afterpay, you can pay the cost of your items over four easy to manage repayments. Fully integrated with Dr. Martens, using Afterpay is super easy. Just choose your usual awesome stuff, and select Afterpay as your method when you get to checkout. © 2019 Dr. Martens | All rights reserved.